I’ve been on the look out for a device that can leverage Google Voice *and* offer up a POTS port that can be tied into my whole house Panasonic telephone system (Hybrid-PBX) as a CO line. The search is finally over — Obihai’s OBi100 does exactly what I need for less than $50 and NO monthly fees! 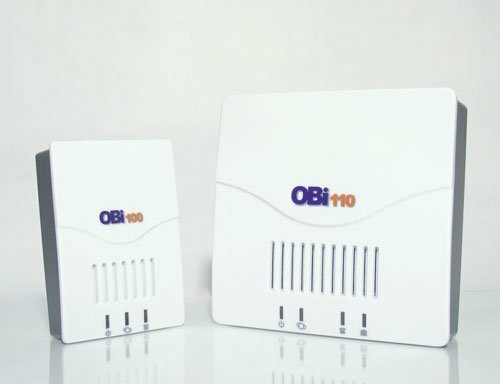 I ordered the OBi100 from Amazon for only $43.99 when it arrived the setup was easy and was up and running within 30 mins. If you were to base the sound quality on looks alone, you’d suspect it’s terrible, however, it’s not! I couldn’t perceive any notable sound quality differences from my landline service and there were no issues sending or receiving faxes over the line either. 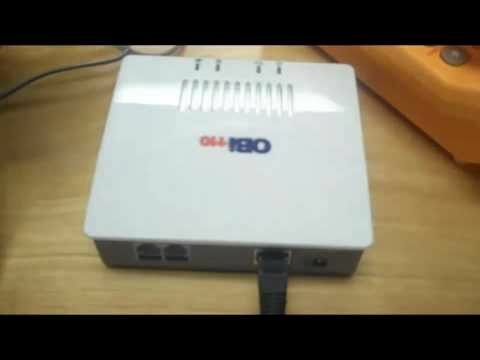 This little device is a must have for any Google Voice user! If you have any questions feel free to post in the comments. – Obihai: What is it? Are you the type of person that needs their daily espresso? Well, Mypressi TWIST could be the gadget for you. 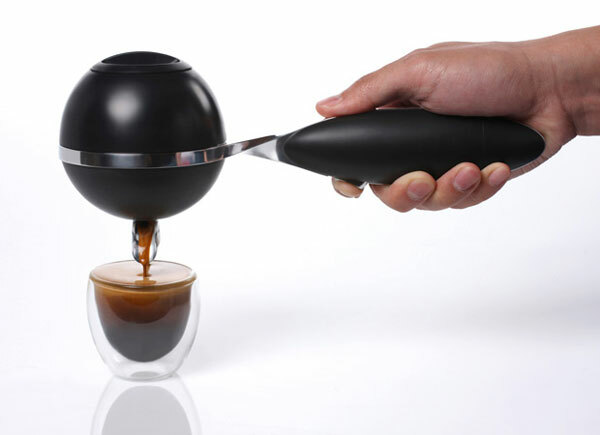 TWIST uses fresh ground coffee and requires no pumping, priming or compressing to make a shot of espresso. All you need to provide is a standard N2O cartridge (the kind you use in whipping cream dispensers), hot water and ground coffee. Then just press the button to push the hot water through the coffee. The cartridge can be used approximately 8 single or 4 double shots. This is great for camping! 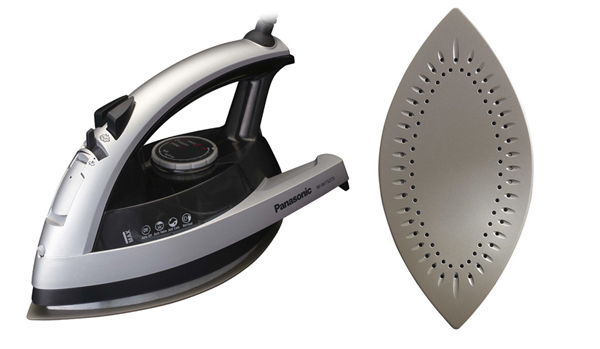 Panasonic’s 360 Quick Iron claims up to 25% faster ironing due to its double sided pointy edges. After looking at this iron for a bit, this should have been the original design when the first iron was invented. The traditional flat back side really doesn’t serve a purpose other than needing it to sit the iron upright. The Panasonic 360 model allows you to get into the tight areas like collars and cuffs without the need to turn the iron or yourself around. This goes to show you that you can reinvent things that have been around for a long time. Kudo’s to Panasonic! TED 5000 WHOLE HOUSE POWER MONITOR ($239) — Give the gift that keeps on giving money back and can also help make the world a cleaner, better place! 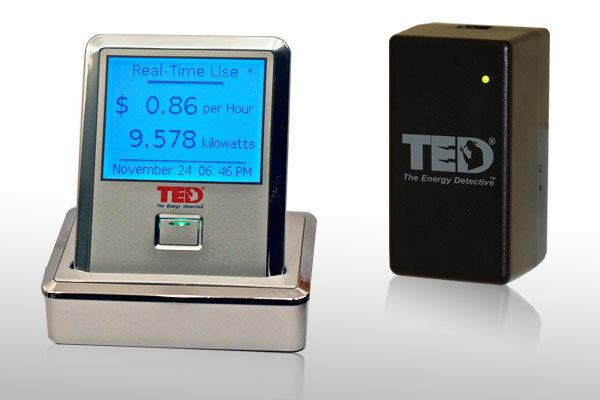 The TED 5000 is the latest in home energy monitoring from Energy Inc. that can measure electricity usage in real-time. Just recently, Google and Energy Inc. announced that anyone in the U.S. can purchase and install the TED 5000 and see personal home energy data online using the free Google PowerMeter web application. This device not only lets you manage energy usage but predicts your monthly energy costs and carbon footprint instantly, thus helping you reduce power waste and save you money. For the complete 2009 Holiday Gift Guide, click here. There are all sorts of wall plates, touchscreens, light switches, and other control devices that never seem to match either in color, finish, or how they mount on (into) the wall. TRUFIG from Dana Innovations, the parent company of speaker manufacture Sonance, have created a solution for this problem. 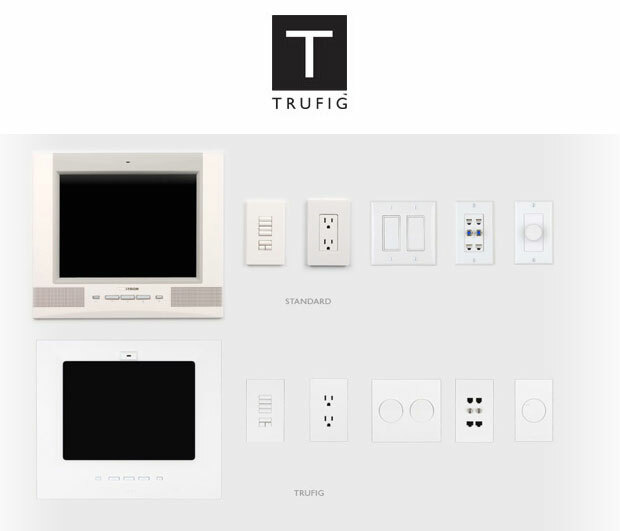 TRUFIG is a system that lets you match a variety of devices from different manufactures. A great idea and product for those that want a consistent look and feel… especially useful in a ultra-modern/contemporary home where less is more.